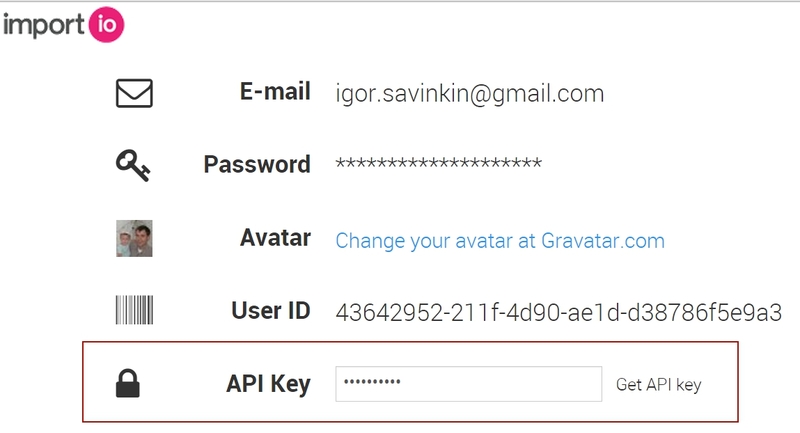 HI there can you please tell me that what are connector-guid, user-guid and api key in below given code and how to get them for any website? User-guid is a your import.io user unique identificator. You might see it at your user's settings' page. Not sure but here is what i think. I think connectorGuid is some random key used to create the link to the web api. The apiKey is obviously the api key. Not the answer you're looking for? 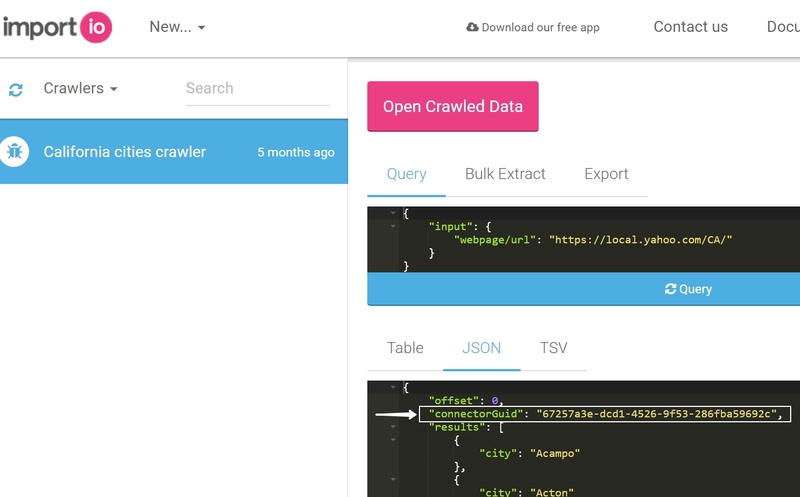 Browse other questions tagged php web-scraping import.io or ask your own question.